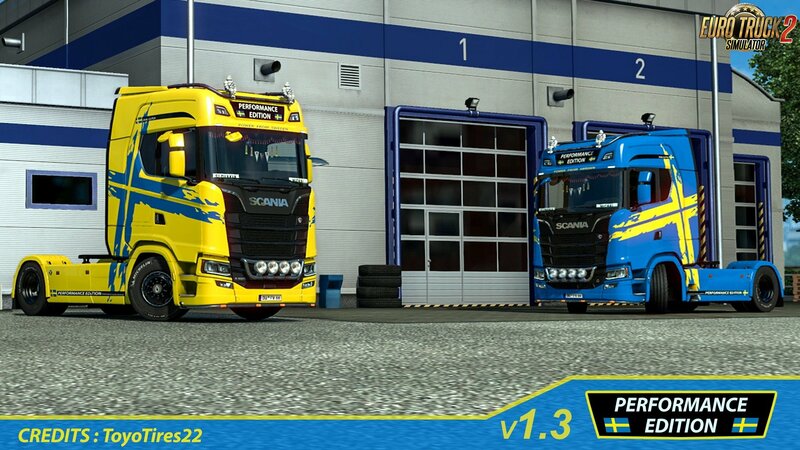 Scania S Performance Edition Skin v1.0 (1.32.x) for Euro Truck Simulator 2 game. 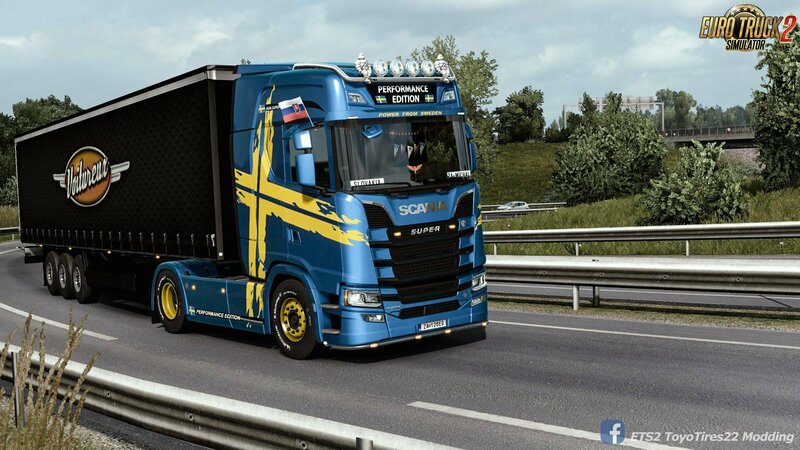 Scania S Performance edition skin for the Scania S 2016 only for High Roof version. Mod include three versions blue, yellow and blue metallic.